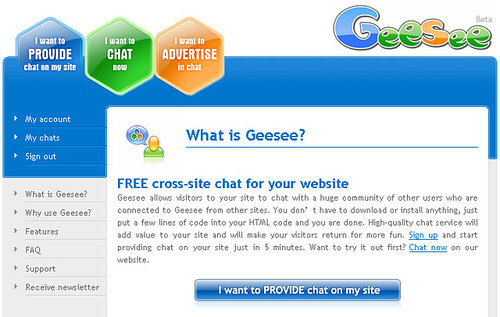 FREE cross-site chat for your websiteGeesee allows visitors to your site to chat with a huge community of other users who are connected to Geesee from other sites. You don’t have to download or install anything, just put a few lines of code into your HTML code and you are done. 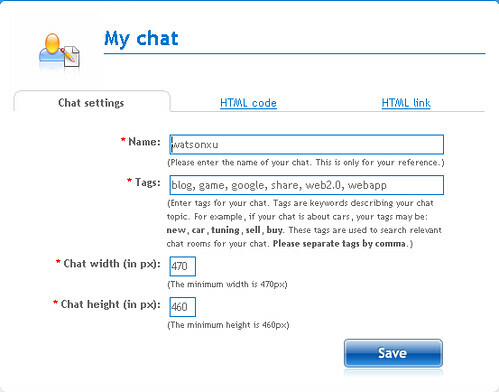 High-quality chat service will add value to your site and will make your visitors return for more fun.